In 1993 Joanne Rowling was a 28-year-old single mother, living in Edinburgh after leaving a failed marriage in Portugal. She arrived in Scotland with three completed chapters of a speculative novel about a child who discovers he is destined to become a wizard. She completed the book two years later, writing in various cafes around the city after walking her young daughter around so she would get tired and fall asleep. In 1996 the book was bought by Bloomsbury and it was published in June 1997. Within a few months it had won several major children's awards, attracting the attention of the prestigious Scholastic Books in the United States. They published it in late 1998, where it became a near-instant smash success. Harry Potter and the Philosopher's Stone (aka Sorcerer's Stone, slightly bafflingly, in the United States) began a series that would extend to seven novels, published between 1997 and 2007. As of the end of 2015, these books have sold just under 500 million - that's half a billion - copies. The book would also spawn no less than eleven films: eight based directly on the books and a planned three-film prequel series set seventy years earlier. This would become the second-highest-grossing movie franchise in history by itself. Finally, there was the impact on book publishing. 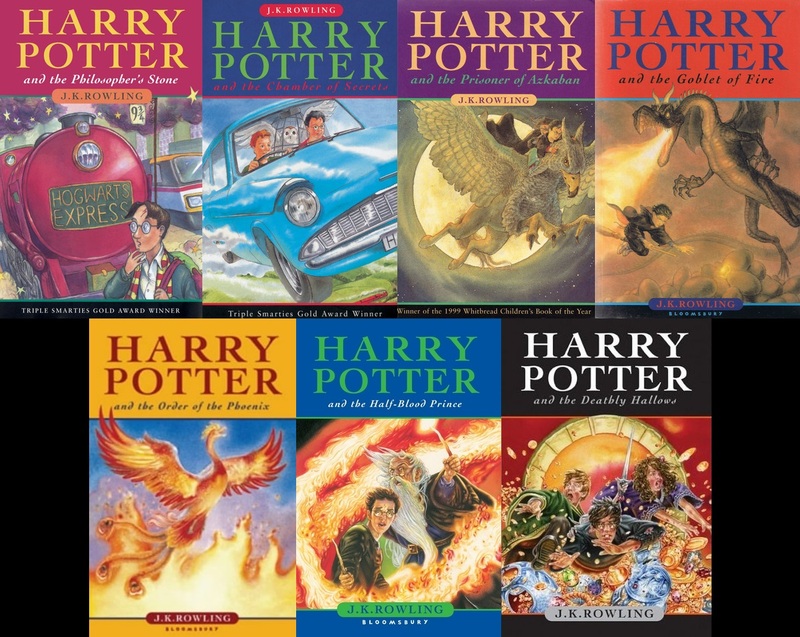 The Harry Potter franchise almost single-handedly created the modern (and massively lucrative) young adult market, popularising the idea of books for kids that adults could also enjoy. It also helped restore the flagging notion of reading for an entire generation of children. That question has been asked many times before and has proven slightly controversial. The more obvious answer may be no: the books are set in the "real" world, with some of the action taking place in real locations such as London. Much of the story is set in and around a single location, Hogwarts, whilst epic fantasy is often based around a long journey or series of journeys across a fantastical landscape. Epic fantasy also usually features a large and diverse number of nonhuman races, whilst Harry Potter only has a small number of them, and all of the primary protagonists are human. Epic fantasy also relies on characters with diverse skillsets, whilst in Potter pretty much everyone of note is a wizard. But there are strong arguments to the counter. The books may touch on the real world but most of the action takes place in original, fantastical locations such as Hogwarts. Also, the books make much of the idea of the world being similar to ours, but one where magic is real (if mostly secret) and the impact that has on government and society, making it arguably an alt-history. And many epic fantasies are alt-histories of the real world, from the tangentially so (Middle-earth, The Wheel of Time) to the more explicitly so (Shannara, Kate Elliott's Crown of Stars series). There is a lot of magic, a stalwart feature of epic fantasy, and the series revolves around the "Chosen One" and his destiny. There is a band of heroes brought together by chance and solidified by friendship and shared dangers, there is a powerful wizardly mentor and there is very much a Dark Lord, whose impending return and raising of an army of evil sycophants looms over the series as its primary threat. The main character starts off clueless and learns how to develop his powers as the series continues. There's also the sheer (and growing) size of the volumes as they continue, with the early, slim volumes being massively outsized by the brick-thick concluding books. In real terms, it's semantics and not really hugely important apart from the crossover appeal: many Harry Potter fans have moved on to becoming fans of other genres. The Belgariad by David Eddings was repackaged and re-marketed as a YA series. Lightly-edited YA editions of the first two Wheel of Time novels were issued (split into four shorter books) to try to entice kids into the longer, adult series. Contemporary YA authors were also pushed hard, resulting in impressive booms in popularity for the like of Rick Riordan and Philip Pullman. Some authors also rode the crest of the wave by aiming for a YA audience but telling other kinds of stories with a wide appeal. The most successful of these were Stephanie Meyer, whose 2005-08 Twilight series (aimed at a slightly older audience than Potter) did for vampires and (albeit questionable) romance what Potter did for wizards and school life; and Suzanne Collins, whose Hunger Games trilogy (2008-10) channelled science fiction and political oppression instead. Both of the latter series have sold over 100 million copies apiece. The impact of all of this on fantasy as a genre was immense. Combined with the simultaneous release of the Lord of the Rings movie trilogy by Peter Jackson, Harry Potter helped repopularise the genre for a whole new generation, with even very adult authors benefitting as the parents also moved on to finding other works. Lev Grossman's Magicians trilogy was positioned as a "Harry Potter for adults", as was Patrick Rothfuss's Kingkiller Chronicle, among many others. So with Harry Potter, fantasy became not just a success but a global phenomenan, achieving a level of popular success which was remarkable and enduring. But some new fantasy authors emerging in the late 1990s did not chase that dream of mass success through easily accessible stories. One, in particular, decided to make the entry bar for his series rather high and daunting and made few concessions for casual readers. His ten-volume fantasy series, executed in just twelve years, was a startling success at a time when other, more famous authors were getting bogged down in their series. This, then, was the story of the Fallen. And being from a country where, sadly, it's pretty easy to get a gun, I thought "put a bullet in the chest of every wand-waving pansy and let's go home already". After all, there is a reason why in Erikson's MBotF exploding ammo (Moranth) was tought as "anti-mage" weaponry. I'd categorise it as urban fantasy (specifically the Traditional English Boarding School Romp, with wizards and dark lords). ohhh, sounds like part 26 will be interesting ! I will say this as simply as possible; Harry Potter is NOT epic fantasy and there's nothing anyone can say that can convince me otherwise. I would say Harry Potter is set on a very non-epic stage that only temporarily gets more expansive. It briefly borrows from epic fantasy, but is itself something else. I do think there's a running similarity between Harry Potter, Dragon Age II and that Black Company novel that takes place almost entirely in one city: a huge, epic story parsed through a single location and small set of characters. I would say Harry Potter morphs genres as the series proceeds, starting as Heroic Fantasy and becoming a proper Epic Fantasy in only the final volume. By setting it is a High Fantasy also.